Recommended ships: Can be completed in (1) Maelstrom w/ passive tank and (1) Maelstrom w/ Shield Transporters in under 2 hours. Note: Only the Special Forces Squadron that appears at 8 minutes after warp-in needs to be destroyed to complete this mission. However, if you approach to under 10km from the Ghost Ship, it will trigger numerous additional spawns that are optional to destroy. Realize that sometimes this accidentally occurs at warp-in. The Warp-In Beacon is 12km from the Ghost Ship, and your exact warp-in spot can be + or – 2.5km from this beacon. 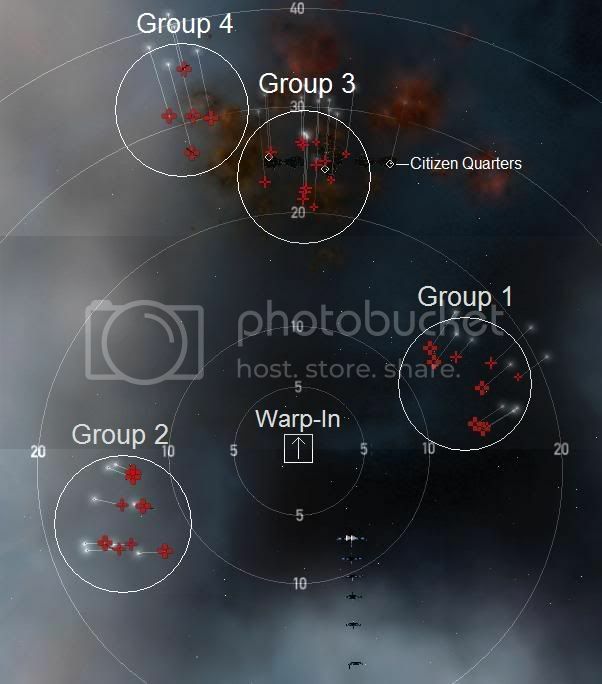 If your warp-in does not land you within the 10km proximity, and if you don’t want to trigger these spawns, then be sure to head away from the Ghost Ship after warp-in. 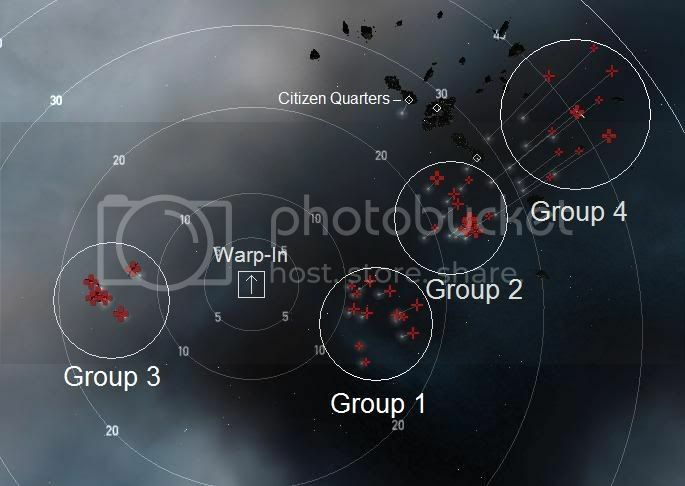 Groups spawn at 2 minute intervals. Instant Aggro. 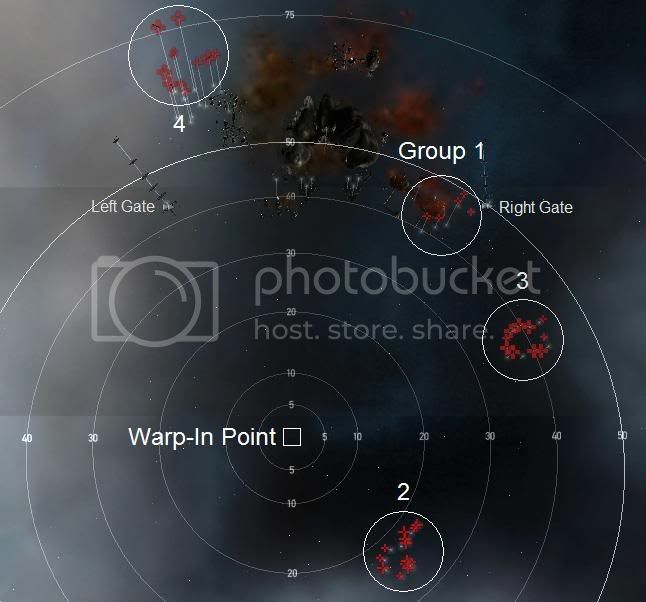 Spawns at 2 minutes after warp-in. Instant Aggro. Spawns at 2 minutes after warp-in at 10km. Instant Aggro. Distances to ships depends on your selected warp distance. - Mission occurs in normal space, so you can always warp to distances and to bookmarks farther away from the NPCs. - Small Drones are invulnerable to the Fighters, as long as they are moving/attacking; and they are a great way to draw-off the Fighter's aggro. 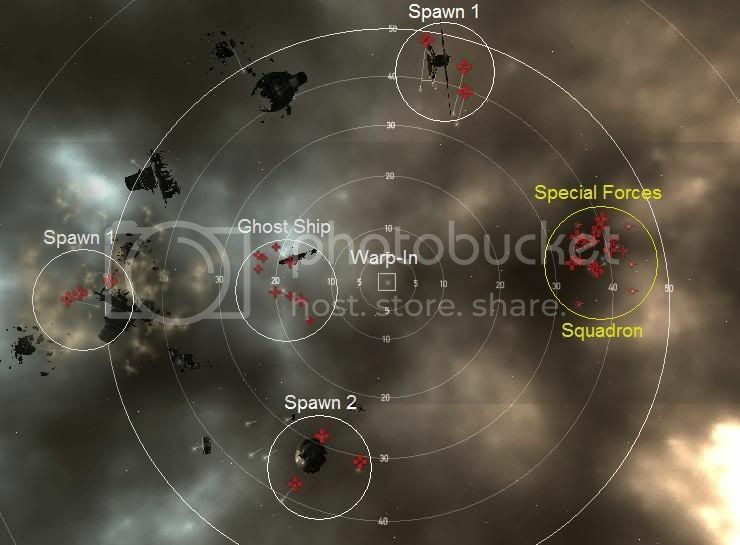 - Have your small drones attacking the carrier when the fighters spawn. Killing Special Force Squadron Officer in Big Sting part 1 have triggered a large spawn (probably listed here as Group 5), destroying all the Special Force Squadron ships triggered objective completion - at least I think that's what triggered it. No need to kill the remaining ships. 1 logi and a Blasterthon (shield tanked for max damage :) with ogres. At each new fighter spawn, immediately pull the ogres in (they take damage instantly), warp logi out, let mega get retargeted, and keep on killing. This mission has no gate, so logi can warp directly to mega. To deal with fighters...do the ol' disco. Load up 8 smartbombs, plate up your mega, warp in and let the bombs loose. Took me 2 tries due to carrier NOS, but it simply takes 2 minutes to remove 10-15 fighters from the mission. Go back to station, refit to blasters, and go back to pounding on the carrier.